The Why: A Labor of Love. If you’ve been reading my blog you might have noticed I like to start with stories that make the message personal. I often share anecdotes about A and me or memories I have from my own childhood. It’s not that I believe you want to know personal things about Anabel, our family or me. Maybe you do. Zero judgement if that is the case. I share because this is personal to us. We are real people sharing our personal experiences with T1D. As a child I spent almost every Sunday in church. My mother was and still is very active there. She opened and managed a food pantry when I was an adolescent. Each Sunday and Wednesday we would go with her to stock the pantry and open it for people in need. It took hours and as most teens and preteens I was bored when I was there. I didn’t fully understand why she gave so much attention to the pantry when she got little to nothing in return. It wasn’t until I got older that I understood her investment there. She’s passionate about loving people and offering kindness when she can. She has shown this in pretty much every aspect of her life. I consider blogging a labor of love like my mother’s. When I publish a blog I call a ‘LoLA’ or a Labor of Love Alert. Blogging may not be as meaningful as my mothers vision to feed her community, but it is one way I show love and kindness. I’ve thought long and hard about why I decided to write a blog, when I have several competing priorities and it comes down to love. The Labor– Let’s be real, moms (and dads) are generally busy people. Whether you are working out of or in the home there are tons to do. Our kids are busying with activities, school, sports and other interests. Let’s not even discuss the investment it requires to help them become decent human beings and contributing members to their society. When you then add the management of a medical condition the labor becomes that much more intense. Blogging is time-consuming. I think intensely about what to write and how it may or may not help others. The Love– I am hands down and completely in love with my children. Anyone who knows even a little about me knows that my life begins and ends with them. It’s a mom thing. My writing, although therapy for me, is out of love for my daughter and the children out there who look like her living each day with this condition. Being given a life long diagnosis can seem really bleak and dark at first. You literally go through a mourning process. Thankfully, that doesn’t last. Over time, you begin to realize that although not ideal, you can manage it. I have to say this. That management, though, requires a network of people. I can’t imagine managing her condition as a one-woman or one-family show. She has a team of folks that care for her medically and equally important she (and we) need a team of people who will help us care for her emotionally and psychologically. Multiple times a week I give A a diabetes pep talk. Sometimes I give myself one. Seeing your kid in pain is painful. I feel building this network of people with shared experiences is important. As we share our experiences we can also share our best practices, tips, and encouragement. I can’t speak for anyone else, but I need that and Anabel does too. The Alert– I might also consider this the awareness. Awareness with this condition is crucial. 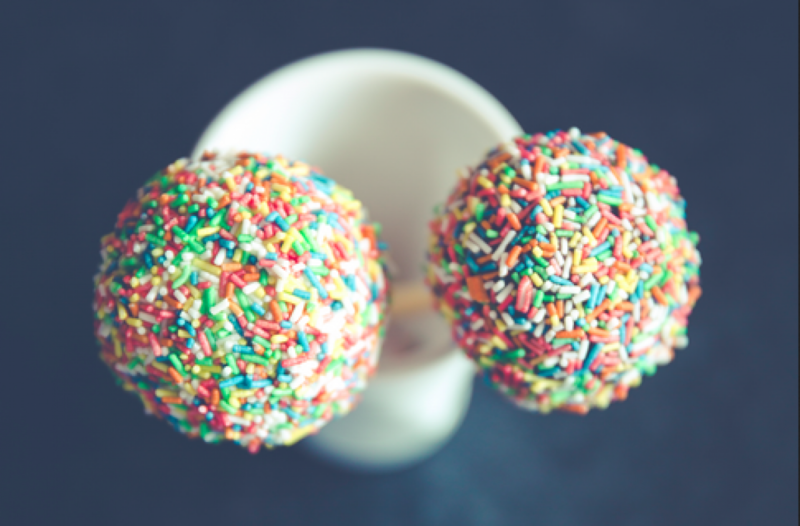 There are so many misconceptions out in the world about T1D and the sweet ones that have it. When A was first diagnosed I had people tell me she shouldn’t have candy and how I really need to watch her diet. I also had others tell me that it wasn’t a big deal and how so many people live with it successfully. Some even compared Anabel to their aunt or grandmother that was living with Type 2. A favorite question, will she grow out of it? Misinformation and misunderstanding of T1D abounds. I get it and I judge no one. Before I had a sweet one with the condition I knew nothing about it. Why does this matter? Creating a space to tell a story and share information for people who otherwise have limited representation in this community is important. 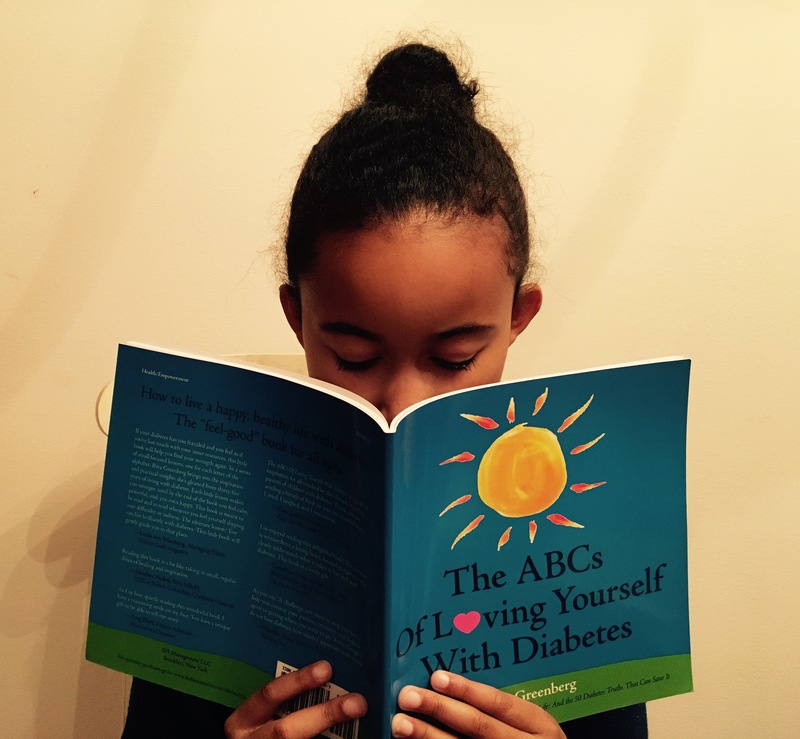 Of all the bloggers, support groups, books and other resources I’ve sought out as a new parent of a child with T1D none looked like me or my daughter. I’ve heard other parents, through this blog, share very similar stories. We need this network and a space. It’s worth the labor. Author sweetbrownchildPosted on November 4, 2017 December 17, 2017 Tags Advocacy, African American, Awareness, Blogging, Diabetes, Diversity, health, hispanic, love, Support Group, T1DLeave a comment on The Why: A Labor of Love. Cocoa Butter: An Elixir For Healing? There are so many incredible things about the technological advances with T1D that have made this condition manageable and livable. In many ways I am grateful that A has this condition at this time rather than 20 years ago, when all of the research we currently have wasn’t available. However, I have to admit. There are some down sides to the tech. Some are significant, others are smaller but still impactful. Small inconveniences are inconvenient nonetheless. When I was growing up my grandmother was convinced I would be Ms. America. Seriously. Whenever I would have a physical accident resulting in a scar she would chide me, telling me that “Ms. America doesn’t have scars all over her body.” Secretly I was thinking, “I don’t want to be Ms. America.” Of course, I never shared this outwardly. When a scar came, as they often do with children, my grandmother would run to the store to get a cocoa butter stick to rub on the area to support in healing and decrease the visibility of the scar. Let me just say, this beautiful butter was coveted in our house and it always worked to get rid of these skin imperfections. You had no idea, did you? I know what you’re thinking. How have I missed the benefits of this butter, this seemingly magical elixir for so long? Let’s not keep it a secret any longer. Shout it from the rooftops! Cocoa butter helps our sweet ones with their scarring from the sheer blessing of their technological tools. I’d like to add, if you read my ‘Hair as Ritual’ blog you can add cocoa butter to the list of products I use in A’s hair. Go forth and butter up! Author sweetbrownchildPosted on November 2, 2017 December 17, 2017 Tags Advocacy, African American, Blogging, Diabetes, Diversity, health, Support Group, T1DLeave a comment on Cocoa Butter: An Elixir For Healing? “Hey, A you need to check your blood sugar levels.” She looks at me. Pauses. Then she continues what she was originally doing. I believe she heard me. I want to correct her. Before I do, I sit and think for a moment. I can sense a certain level of passive resistance in her lack of response. I’m constantly reminding Anabel that I will not tell her what to do with her body. There are enough daily demands on her with her condition that must leave her feeling out of control often. I fix my statement. “Anabel, when you’re ready and if you would like to eat we will need your current blood glucose level.” She pauses again and then responds. “Okay, mom. I am hungry.” She goes to get her blood glucose meter. When my children were toddlers I used the term ‘immediate obedience’ to communicate that they needed to listen to mom and dad. That was important to keep them safe and at an early age to teach them the importance of listening to adults who they knew. I guess in the current day and time its ‘old school’ but when I was growing up if I didn’t listen to my mother or grandmother there was bound to be trouble. Avoid value judgements. We don’t discuss high blood sugars or low blood sugars as good or bad, they are just a number. Give ownership. Each child with T1D has a choice to make about the care and maintenance of their condition. Giving increasing ownership over care and decision-making is important in their growth, development and overall independence. Be patient. Just because a request was made does not mean our babes will respond immediately. That immediate obedience expectation isn’t applicable anymore for us. Many of the requests we have of our children are physically painful for them. We can’t expect that they will quickly and enthusiastically comply. Give options. We all want options, don’t we? Our kids should have 2-3 options to choose in the moment when diabetes care is needed. Example: Hey A, do you want to change your infusion site in the morning or before you got to bed? When she doesn’t want to change her infusion site. I always remind her that we can go back to doing insulin shots before she eats and long acting insulin at bedtime. She has a choice! Thankfully, at this point she consistently chooses the infusion site change. They are not their condition. When A comes home from school one of the first things I want to do is ask her how she is feeling physically or how her levels were. However, there is so much more to her than this condition. It can’t be the first or even primary topic we discuss with her. I’m fortunate to have a very reasonable child who is inherently responsible and thoughtful. It has been a very easy task discussing her options with her around her care and putting a lot of the responsibility in her hands. I know all parents don’t have this experience. A is also only 9 so any resistance we get is passive and short lived. I know it may not always be this way. I also acknowledge that teens and those who are frustrated with their condition will, at times, very naturally rebel against it. We’ve got a long way to go along this journey and there are bound to be bumps and bruises along the way. I have, however, made a commitment to respect A’s right to be treated with respect and that begins with my purposeful language.